A recent review of Omega-3 fatty acids for reducing heart disease concluded that not all Omegas are the same. The study concluded that getting Omega-3 from plants products, such as Culinary Argan Oil, had the most significant and measurable effect. So what about fish oils? Our bodies need the right kinds of fat is. Saturated fats in meat, dairy and processed foods are strongly linked to high blood cholesterol and cardiovascular diseases. Unsaturated and polyunsaturated fats essential fatty acids such as linoleic acid or omega-6 and linolenic acid or omega-3 are, on the other hand, good for us. Natural oils such as Culinary Argan Oil and Olive oils are high in these Omega fatty acids. Fish has also long been reported as a good source for these essential fatty acids and particularly omega-3 fats. So if you are taking Omega Fatty Acids supplements for Cardiovascular protection, Strokes or Cholesterol should you be taking fish oils or plant based oils? Many recent reviews of research, published in the Journal of American Medical Association concluded after analysis of 20 studies using fish oils, that although there was a decrease in deaths, cardiovascular problems and strokes, that the effect in terms of percentage improvement, taking into account the percentages for the margin of errors in the study, was so small that it did not represent a sufficient improvement to be able to claim an effectiveness for fish oils. However, medical researchers at the prestigious Harvard Medical School analysed 27 clinical trials of the effects of omega-3 fatty acid including alpha-linolenic acid in studies with over 250 000 people which included 15,000 heart attacks and cardiovascular events. The supplementation of alpha-linolenic acid omega-3 fatty acids was found to result in a 14% to 20% reduction of heart attacks and other cardiovascular problems. The Lyon trial  was another “secondary prevention trial” in which supplements were given to those who had already suffered some kind of attack. Previous trials had often used fish and fish oils as the source of the supplement. However, in this trial plant-derived omega-3 fatty acids, found in Olive, Flax seed or Culinary Argan Oil, were used. The beneficial effects were found to be twice that of fish oils with a significant drop in coronary events. Furthermore these benefits, like in many of the trials that tested Culinary Argan Oil for cardiovascular problems, started quickly . Patients that continued with the diet or supplements found that years later that they were still being protected . More recent studies have gone on to confirm the benefits of plant based omega fatty acids over fish derived sources. Subsequent studies have gone on to confirm the higher effectiveness of plant omega-3 fatty acids in protecting the heart . 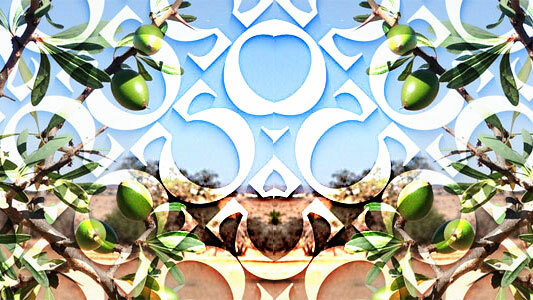 Where can I buy organic Argan Oil for eating? All prices include Free Delivery Worldwide and our products are supported by our money back guarantee. De Lorgeril M – Mediterranean Alpha-Linolenic Acid-Rich Diet in Secondary Prevention of Coronary Heart Disease. The Lancet;343:1454-1459 – 1994. De Lorgeril M – Mediterranean Diet, Traditional Risk Factors and the Rate of cardiovascular Complications After Myocardial Infarction. Circulation;99:779-785 – 1999. Singh RB – Randomised, Double-Blind, Placebo-Controlled Trial of Fish Oil and Mustard Oil in Patients with Suspected Acute Myocardial Infarction: The Indian Experiment of Infarct Survival-4. Cardiovas. Drugs and Therapy;11:485-491 – 1997. Singh RB – Effect of an Indo-Mediterranean Diet on Progression of Coronary Artery Disease in High Risk Patients (Indo-Mediterranean Diet HeartStudy): A Randomised Single-Blind Trial. The Lancet;360:1455-1461 – 2002.